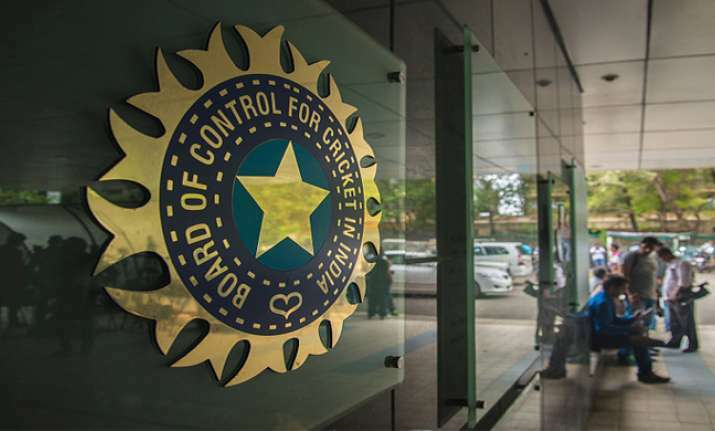 The BCCI has its Special General Meeting (SGM) scheduled for December 9, where the NADA issue has been now added to the agenda after the meeting with Rathore. At loggerheads with the National Anti-Doping Agency (NADA) on the testing of Indian cricketers, the BCCI today discussed the matter with Sports Minister Rajyavardhan Singh Rathore and also sought the government's view on playing arch-foes Pakistan in the planned ICC Test Championship. NADA wants to bring Indian cricketers in its net but the cricket board has rejected the demand. BCCI has insisted that it is a WADA-compliant organisation so there was no need for it come under NADA's supervision. BCCI CEO Rahul Johri and General Manager (Administration and Game Development) Prof. Ratnakar Shetty, who is well- versed with the BCCI's anti-doping policy, met Rathore at his office for about 45 minutes. "The topic of discussion today was about NADA and WADA. During yesterday's meeting, it was decided that Rahul will be accompanied by Prof Shetty as he is aware about the anti-doping policy of BCCI. There were some other operational topics discussed but main was anti-doping policy," said a BCCI official. The ministry's view, which is not yet clear, will now be conveyed to officials and also discussed at the SGM. When CK Khanna, the acting BCCI President, was contacted, he confirmed that anti-doping policy has been added to the agenda. Another BCCI official said, "This meeting was a courtesy call and was planned long ago. Since Rathore took charge, they wanted to meet him. All issues, including cricketing ties with Pakistan, was discussed." "Anyway, playing Pakistan or not, it is not only the decision of Sports Ministry but it lies mainly with PMO and the Home Ministry," the official said. Also discussed was the contentious issue of playing Pakistan. India has not played any bilateral series with Pakistan since the limited overs series featuring two T20Is and three ODIs in India in 2012-13. The Twenty20 series was drawn and Pakistan won the ODIs 2-1. As per the ICC Future Tours Program, each of its member countries are bound to play against each other at least once and if India do not play with Pakistan, they would lose points. As per the format, each team would play at least three home and away Test series respectively and members are free to negotiate more series (between 2019 to 2021) depending on availability. In 2014, BCCI and PCB had signed a Memorandum of Understanding (MoU) to play six bilateral series between 2015 and 2023. However, after India refused to play Pakistan due to strained relations, the PCB sent a notice of dispute to the Indian Board, claiming losses due to the BCCI's refusal to tour Pakistan in 2015.